This is your personal invitation to join the McLean Country Sportsmen’s Association and 93.7 NASH Icon for the 28th Annual Wild Game Banquet. This year’s event will take place Saturday, February 2nd at the Interstate Center (1106 Interstate Dr.) in Bloomington, IL. Doors will open at 2:30 PM with dinner being served at 4:30 PM. There will be appetizers that include meatballs, elk summer sausage, elk chili, hot wings as well as cheese and veggies. The dinner menu includes roast turkey, pheasant stroganoff, elk tips with gravy, fried pollock, cheesy potatoes, mac and cheese, green beans and cookies. There will be coffee and ice-tea included with dinner as well as a cash bar. The event will feature many raffles for guns and other outdoor-hunting items. There will be a silent auction with over 300 items and over 100 items included in a live auction. The live auction includes hunting trips, fishing trips, sports trips, prints and other great items. One of the live auction items is a Gretsch guitar that has been taken to area concerts over the past year to get signed (pictured bellow). 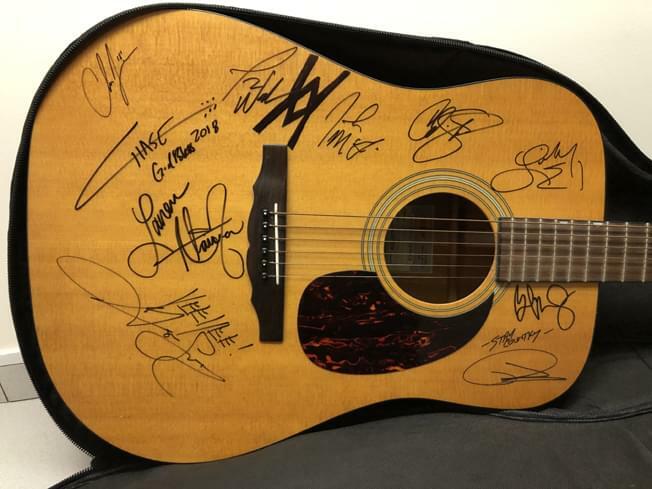 Country music stars that have signed the guitar include: Cole Swindell, Brad Paisley, Dustin Lynch, Lauren Alaina, Granger Smith, Chris Janson, Walker McGuire and Lindsey Ell. 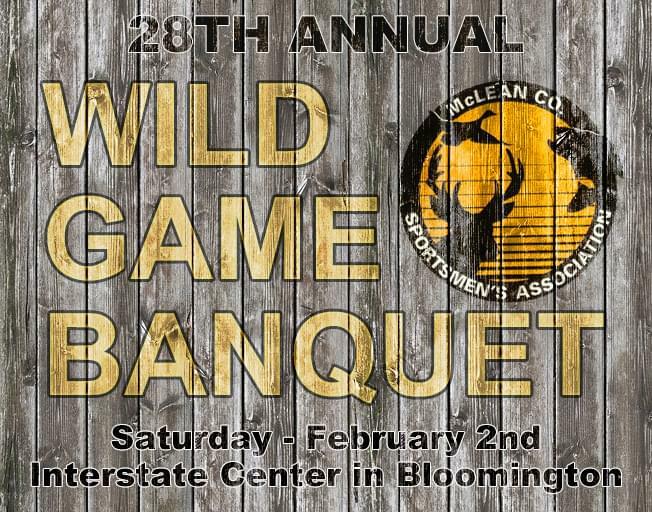 Tickets to the Wild Game Banquet are just $35 in advance and will be available for $40 the day of at the door. Advance tickets are available at Smiley’s Sports Shop, Chuck’s Harley Davidson, Select Archery, Wired 2 Fish or from any McLean County Sportsmen’s Association board member. This event raises funds that the McLean County Sportsmen’s Association use throughout the year for their many youth events and to support local children’s charities in our area. Learn more about the McLean County Sportsmen’s Association and the Wild Game Banquet at their Facebook page here.